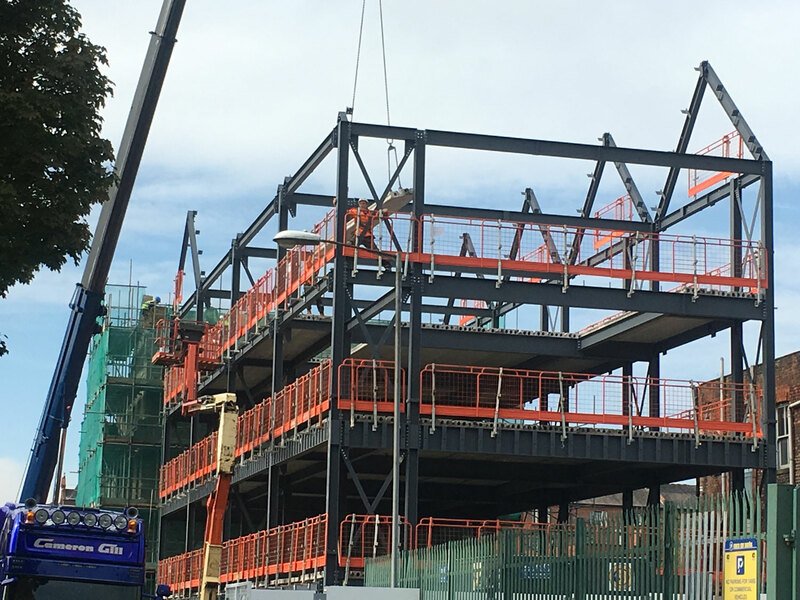 Work on site is progressing well with the steel frame of the first new building on George Leigh Street now complete and the concrete floors going in. It is exciting to see a new building take shape. This is Block B and will have four townhouses to the street and eight big two bedroom apartments above. At the same time we are working on bringing the heritage warehouse back into use, uncovering beams, revealing all the original windows and fully realising what great spaces we have here. The site is part of Ancoat’s historical jigsaw and it is rewarding putting it back together again. Keep checking here and we will keep you posted on progress.